« Friday Photos: Tea Time! 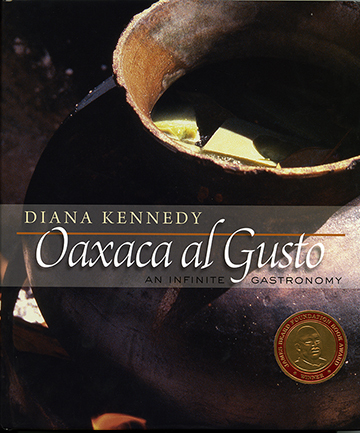 On Thursday, November 15, cookbook author Diana Kennedy, often called the Julia Child of Mexico, will be here to discuss her cookbook Oaxaca al Gusto: An Infinite Gastronomy, as well as the feasting traditions of ancient Mexico. Oaxaca al Gusto: An Infinite Gastronomy is equal parts historic document and kitchen guide, focusing on the traditional cuisine of the Oaxaca region of Mexico. In preparation for this event, the DMA’s programming team decided to try some recipes from the book to see what they were like (and to test their kitchen skills). I decided to make Clavaria Mushrooms in Mole (Mole de hongos de curenito de venado) because I have always wanted to learn how to make a mole sauce. This recipe called for a few ingredients that I could not find in the four different grocery stores that I went to. I replaced the main ingredient, clavaria mushrooms, with a mix of regular button mushrooms and oyster mushrooms. 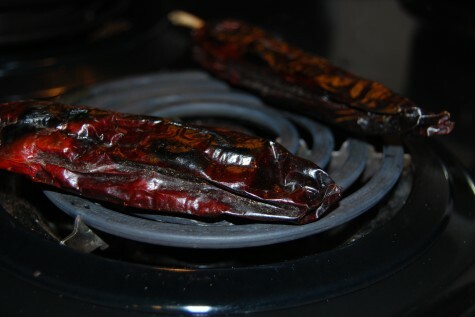 I also could not find dried costeños chiles and instead went with dried gaujillo chiles. 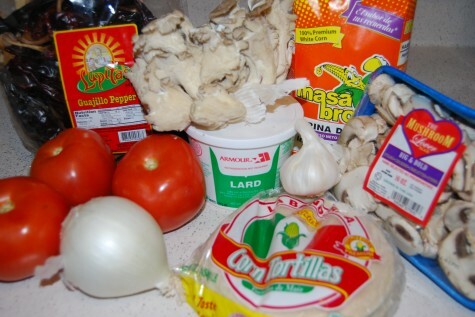 First you make a paste of the mushrooms and then add them to a pureed tomato, chile, garlic, onion, and spice mixture before frying in a skillet with lard over high heat. You then mix with masa to thicken the sauce. Traditionally, this dish is just served with corn tortillas. I found the mole to be on the mild side and would serve it with a meat next time, either chicken or beef, in addition to the tortillas. Things I learned: You can toast the chiles on an electric stove top burner if you don’t have a comal as recommended in the book. 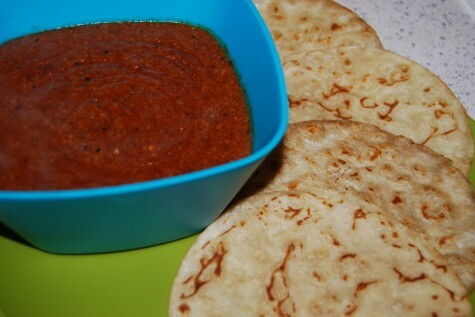 And, you will need a very large skillet for the last step, as this recipe makes a lot of mole. I am without question the least experienced cook of our team, so I chose to make a simpler recipe, Red Chickpea Soup (Molito de garbanzo rojo). After a pep talk from a few of my more kitchen-savvy friends and a deep breath, I gathered my ingredients and went to work. 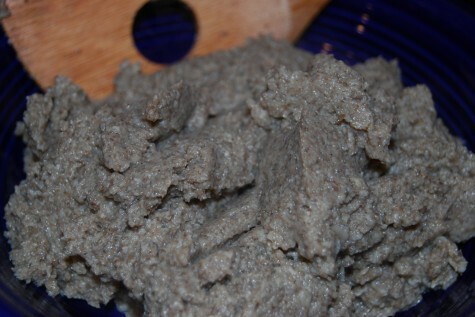 I did make one small change to the recipe and replaced the lard with Crisco to make it vegetarian friendly. 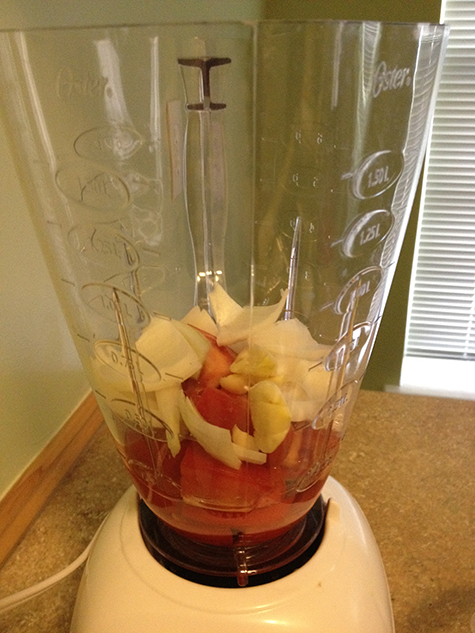 After whisking the chickpea powder/flour into water to get a smooth consistency, I turned to my blender to puree the onion, garlic, and tomatoes. I added the chickpea mixture to boiling salted water and let it reduce for quite a while to get a thicker consistency for the soup. 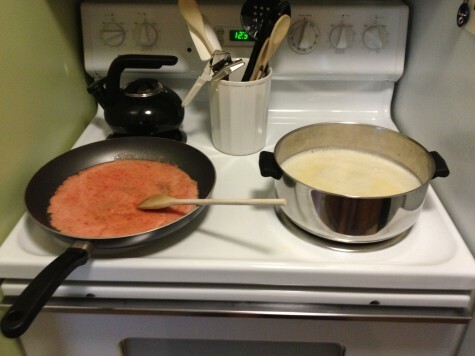 Meanwhile, the Crisco was melting in a larger skillet to fry and reduce the onion, garlic, and tomato puree. 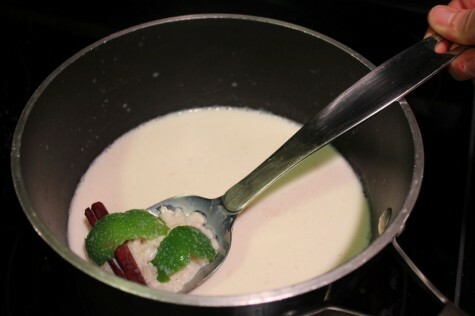 After the puree had reduced some, I added it to the pot with the chickpea base and whisked regularly as it reduced more. 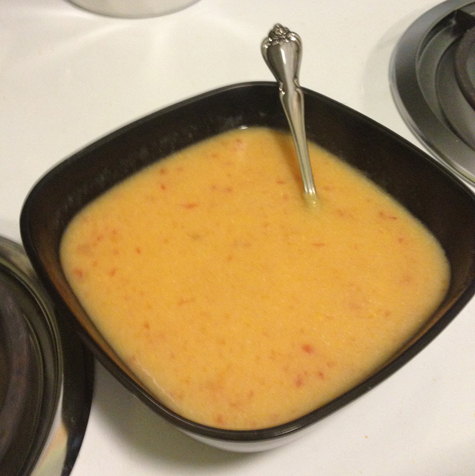 After letting it simmer for a while on low, the soup thickened up quite a bit. The soup was very tasty and, as I mwentioned to a co-worker afterwards, would also make a great base for veggies or meat for a heartier meal. Things I learned: The puree mixture fries and reduces much quicker than I expected, whereas the soup reduced very slowly. 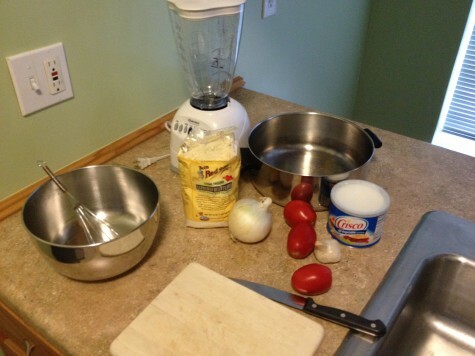 Also, my Google app on my phone was just as important as my whisk–in fact, for this inexperienced cook, it was essential! I decided to finish off our departmental Oaxacan meal with dessert so I made Rice Pudding (Arroz con leche). For this dish, you only need a few simple ingredients. The only “special” ingredient I didn’t already have was evaporated milk. 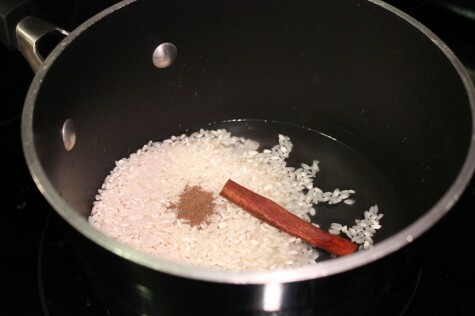 You just cook the rice in a bit of water with the spices first, then add the two milks and lime and cook slowly for about thirty0 minutes, stirring regularly. 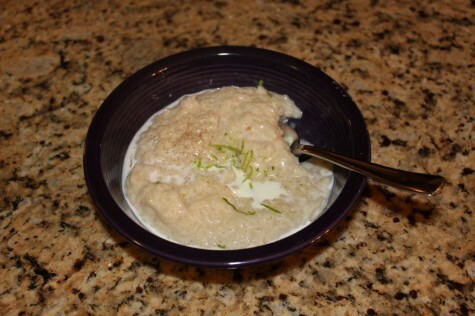 The unique aspect of this pudding, compared to other rice puddings I have made or eaten, was the addition of the lime rind during the cooking process. It combined nicely with the cinnamon and allspice and gave the pudding a distinct flavor. 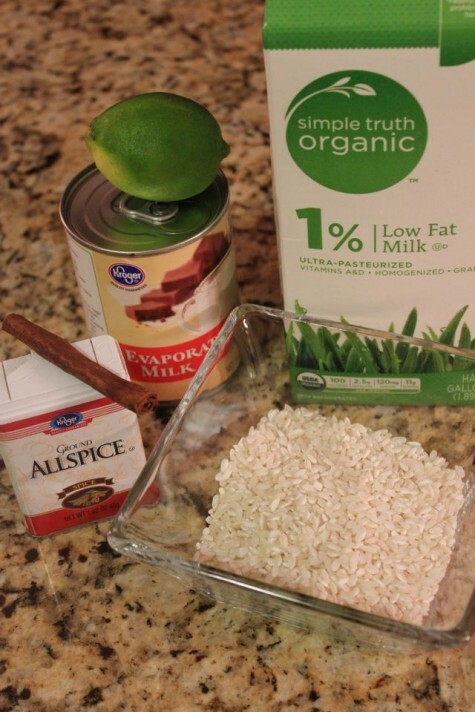 This recipe did not call for any sugar or sweetener (like honey or agave), and to me, rice pudding, in a dessert form, needs to be a little bit sweet, so I must make a confession; I added some simple syrup to my pudding at the end of cooking. I served it as suggested with a bit of lime zest and cream (half and half) on top. My husband said it reminded him of decadent, rich Fruit Loops. And he likes Fruit Loops, so that was a compliment! Feasting in Ancient Mexio is part of our programming for the special exhibition The Legacy of the Plumed Serpent in Ancient Mexico. The exhibition will be on view through Sunday, November 25.